Of course your project just got a whole lot easier since Bachmann started doing ready made models of half of your buildings!! It could almost be a layout in it's own right all you have to do is lay the track and do the scenery. What scale is it? Wasn't there someone in Railway Modeller back in the 60s who made a layout driven by wires underneath in a very small scale? Just been inspired by "Glaisden" at Expo EM North to get on with the layout..
Progress update - here's a photo of the double slip sitting on the next templates to be worked upon. It already has the vees for the turnouts either side, due to the extended crossing timbers, so I intend to make up the three way/double slip/trailing turnout as a single unit - provided I have a large enough flat surface to work on! pps is it me, or is it easier to print out in the original release of TEMPLOT? If you click the OUTPUT > print background templates menu item or press CTRL+F11 it should be exactly the same as before. What are you finding different? The PRINT NOW! > print background templates now! menu item is intended for beginners, and by-passes all the print set up, preview and calibration dialogs. Not recommended if you have a large number of pages to print. Yes, I have a copy and have been exchanging emails with Kevin Robertson. The article has a good photo of the South Signal box which I hadn't seen before and some more views of the platform buildings - I still haven't got enough information to accurately model those, but I have just sent off an article to The Brighton Circular which I hope may uncover some more material. Particularly illusive is the turntable (removed in the 1920s) - I haven't seen any photos of that at all! Progress photo for 5th March 2013. Martin - many thanks - this project would not have got off the ground without TEMPLOT. Yes, it was "old dog" problem - no idea what I was doing in a "senior moment" but it looks identical to the old version! Might be a silly question, but is there a need to do periodic re-calibrations of the printer? Your project is looking good. It's worthwhile doing an occasional check on the printer accuracy. If you set the grid to say 50mm or 2" you can simply measure the grid lines on the templates. Or click the output > printer calibration > print proof sheet menu item, and measure it. The printer shouldn't usually need to be re-calibrated, unless you have changed to a different type or batch of paper, or you have printed two dozen copies of War and Peace since the last lot of templates. Thanks for your comments - I've actually got a set of etches that Phil Taylor of the Brighton Circle organised to have "shot down" from 7mm to 4mm from Kirtley Models - these are for the station building - I'm trying to develop as accurate a drawing as I can for the 2 signal boxes and will probaly ask Mike Waldron (EB models) if he can etch (at least) the window frames for me. Keep up the good work Richard, that is coming along very nicely. I've just checked out the Bachmann buildings and yes, they look very nice and would be quicker, but would still need to be chopped around a bit to do Singleton - certainly the waiting room is the "wrong hand" (and would need to have the Gents removed from the end) - the booking hall may be similar, but from the one photo of each I have seen I can't be certain. Cocking end of the station, l to r - up loop headshunt/overrun, up platform becoming running (single) line beyond the crossover, down platform (goods headshunt further side of crossover, line through goods shed and back siding. Seeing the "mosaic", I wonder if it might be a good investment to get a print shop to print them on a continuous sheet - it avoids the risk of the design creeping out of shape. 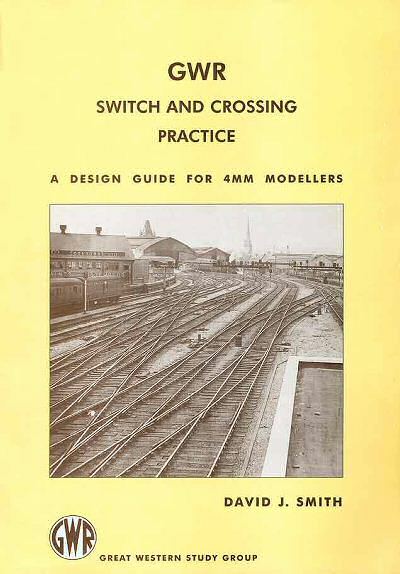 Just referring to our previous discussion on buildings we were talking about "Myers" buildings but, looking at John Minis' book he talks about "TW Myres" (and the Listing for Horsted Keynes station does the same). That info might help with future Google searches!! Having gone to print and examined them in detail, I'm not happy with the relative position of the turnouts etc, so have embarked on a radical "tweak" of the "Cocking" end of the station - I'm holding off re-examining the "Lavant" end of the station as I've already built the main pieces of track work for that end! I see Mr Minnis (active member of the Brighton circle) made an appearance on "Unbuilt Britain" on the TV the other evening. He did indeed - and also when Network rail announced the listing of 26 boxes! AND on our local news some months ago when a former filing station on the A1 was listed! Do you have a CAD programme that does basic 3D? (the freebie ProgeCAD will do) You can export your Templot as a 3D DXF and view it from all angles - very helpful when comparing to photos. It saves a lot of this tweaking stuff (which can be a bit stressful...)! Many thanks Martin - I had forgotten about that thread. The attached box file is a revision of the "Cocking" end of the station with the tips of the points lined up relative to each other as shown in the coloured plan (West Sussex County Records office) that was reproduced in Southern Way No. 16. PS shape file as per previous upload. It's years since I did much on 3rd PlanIt and I'm rusty on all the controls and settings. But here is a locomotive running round your layout. The video is a bit jerky, the view on your own screen is smoother, although the OpenGL 3D rendering is never going to rival the best quality rendering in high-end CAD packages. This is just the barest bones of 3rd PlanIt -- you can work it up to a full layout design with buildings and scenery. I will try to find some old files and post them. Using the native track (Peco etc.) in 3rd PlanIt you can operate points, shunt sidings, couple and uncouple rolling stock, full train simulation etc. On imported Templot track you can run only along the main road. If I wanted to be a real pedant , then we should either run the loco in the other direction, or put it through the down platform, as the LBSC didn't signal the station for running "down" through the "up" platform, even though its only a single track branch! You can view the exe file in Linux if you rename it as a zip file.You then just click on the avi file in the folder and it plays with the suitable video application available. can you give me a bit of advice on basics! I've tried deleting the crossover and making a new one from the turnout in the main line, but that still doesn't seem to match up on the constant radius of the parallel lines. Any suggestions as to where I am getting it wrong? At first sight, template 67 is not on the same radial centre as the running lines. Nor is 68, which appears to be on a much larger radius, and not forming a proper crossover with 67. I have to go now, but I will look at it again later and post a revised version. Many thanks for your observations - I'll have a play about with the templates again this afternoon and see if I can sort it by starting again from plain track and re-inserting the turnout before forming the crossover. Obviously I can't see the wood for the trees! pps never ceases to amaze me how that diesel will run through the trap point without derailing - can't stop watching it! Note that you don't strictly need template 66 (PR373) -- instead you can simply extend some exit track on one of the turnouts (F4 mouse action). Or a short bit of exit track on both of them -- that may or may not help with the rail joints and timber shoving. The same goes for template 51 (PR252). You can extend some exit track on one of the turnouts, or some approach track on the other one (F3 mouse action). Or a bit of both. - can't stop watching it! That explains the email I've just received from screencast.com about my bandwidth limit! Can I trouble you for your opinion on part of the layout for Singleton - in particular the crossover to the bay line formed by templates 85/86 with the line back into the bay, and the other pair of turnouts that feed into the second bay line. looking at the photos the vees of 85/86 look to be separated by 2 or 3 sleepers at most - surely this means that there cannot be sufficient clearance, though perhaps it is "protected" by the ground signal by the blades of 85? Bearing in mind that I have distorted the whole lot by curving it to a ruling radius of 15', do you think there is any more I can do to get the Templot layout to better match the two prototype photos? I'm pretty sure that there is a requirement for a clearance here. Looking at the box diagram, the point leading to the loading dock is worked from the box (lever 15) but the point in rear of that is a hand point, thus, this point is the only means of providing protection for traffic entering the Down Loop against errant shunting movements. But it must have been a pretty minimum clearance - no LMS Duchesses or GW 70 footers permitted! As you say lever 15 from North Box operates the point between the bay and down loop but I wonder if ground signal (24) is interlocked with crossover (20) for movement even into the dock? Nice picture! On thing is for sure, it is a bit late to alter the Template!! We are to some extent guessing without the locking diagram, but "convention" would have it that signal 24 would only clear with 15 R and 20 N (ie for a movement into the Down Loop. Shunt moves into the dock would pass it at danger. The protection requirement can only be provided by points - in this case, 20 cannot be pulled with 15 R. Even though the clearance is minimal, this gives "protection" within the meaning of the act bearing in mind that "protection" can be provided by means of a trap point spilling an errant vehicle onto the ballast with who-knows-what resulting clearance. Probably the Board of trade accepted this arrangement on the basis that shunting would not be allowed to take place whilst a train was entering the loop (which only happened on 5 days a year after all!) though I am puzzled why it is necessary given the spaciousness of the layout. Possibly your curving things has made it a bit tighter than the real thing and it might look a tiny bit odd, but it can be argued that it is not "wrong"
Hope that saves you scrapping any track! Given the Brighton's liking for 3 way points perhaps they could have taken both loading dock roads from the further point which would have maintained the double track spacing. Still trying to work out what all the dimensions on this drawing relate to! Interesting! Perhaps the drawing was a submission to the BoT hence so few but significant dimensions - but only a guess! Of course, the omissions could just be a draughtsman's oversight - particularly if the drawing was for other purposes. Can you clarify what you are asking me? I'm struggling to follow the discussion with Howard. Which is the loading dock? Which is the first bay line? Which is the second bay line? The spacing-ring tool in Templot is intended for setting/checking clearance between tracks. Clicking the set-ring: > p-s button pre-sets it to the required diameter for 11ft-2in track centres (6ft way) at the current gauge and scale. For EM that means 24.63mm between the rails. For 10ft way you then add on 4ft (16mm) making 40.63mm. I think that if you increase the the loop line(s) spacing to at least 9ft way from the main lines, this problem will be avoided. I'm sorry I can't do any more Templotting today, so I will have to leave it there. Very sorry we got a bit into an internal discussion there - we both know the real thing! Just to mention that of course, everything you say is spot on - however, in this case, these are not running lines in that sense and movements cannot normally take place simultaneously on them. however, one is required to provide flank protection for movements on the other and for that, the spacing shown in the original drawing seems insufficient. First apologies Martin, not only have I not put the names on the labels, but in the conversations I have not been consistent in the names I used, viz: bay and dock! Anyway your reply has been helpful, in that I do think I need to get that 6', as you demonstrated with the spacing ring consistent down the two "rather close" lines (89 & 85) - I think it is down to the angle that the line comes off the down loop point (86) and the geometry/position of (85) that kicks back into the loading dock, so I think it is just down to me to tinker with the templates till they look better. I have also scanned in the original "straight" colour map to check the spacing of the lines at various points - I should have done this some time ago! (though I am not entirely sure of its scale, but looks to be 1:1500) Again though I think my process of curving the whole lot has complicated either the geometry, or my ability to interpret how to reproduce it! Thanks for you help - have a relaxing weekend (away from Templot?) enjoying some fireworks! I have a "play about" with a scan of the "un-tampered" plan, and have come to the conclusion that there wasn't adequate clearance on the real thing! I shall have to end up with a "compromise" on the track layout in that area which looks as close as I can get it to the photos.